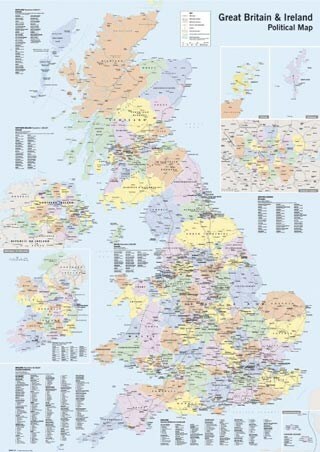 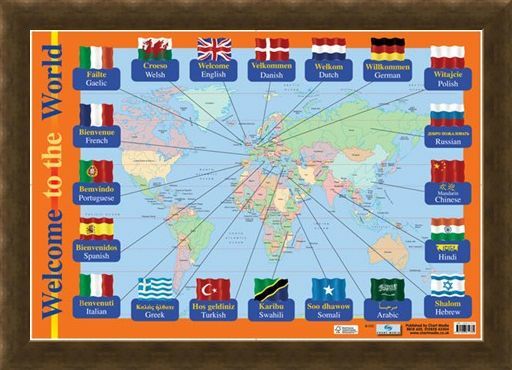 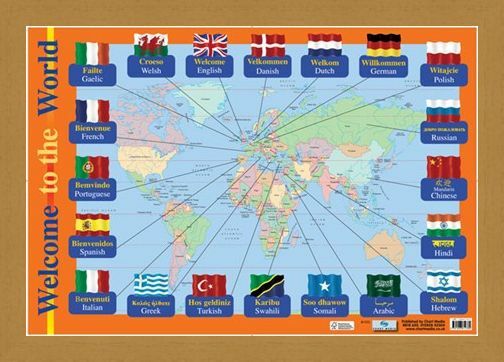 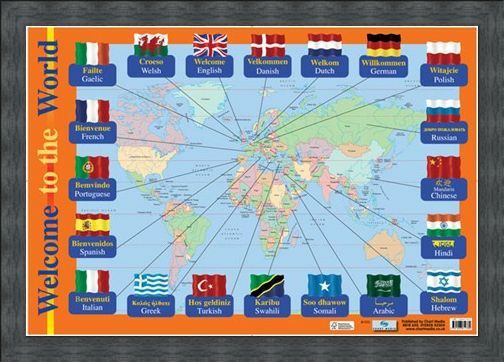 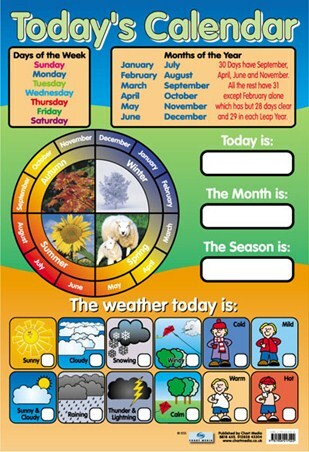 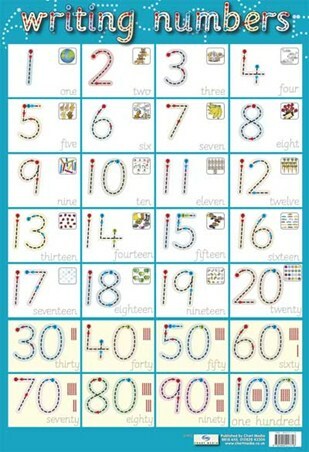 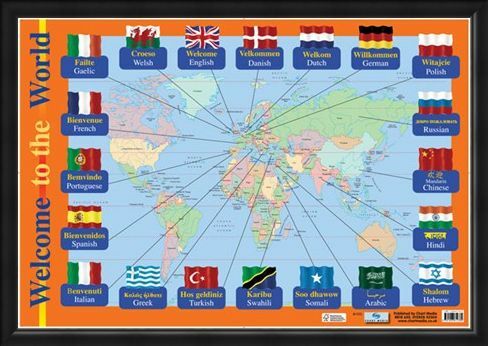 Educational Mini Poster: This glossy, mini poster will fit right into any home with its colourful political world map surrounded by the country's flags. 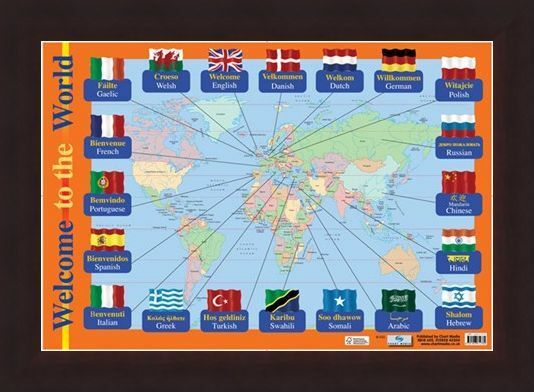 Easy to distinguish borders, oceans and flags make for an excellent, quick reference wherever you are. 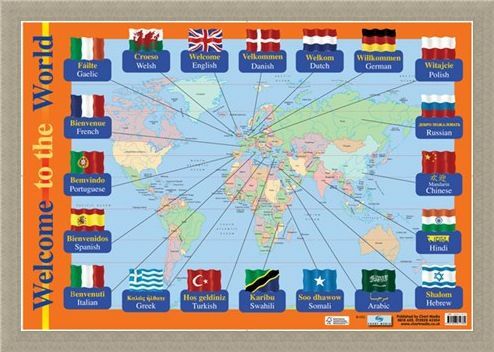 Included are flags of England, France, Germany, Italy, China, Greece, Portugal, Spain, Turkey, Arabia, Poland and Denmark as well as many more. 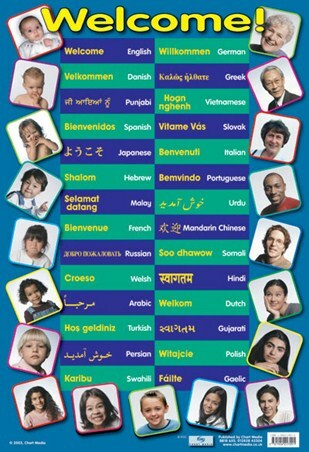 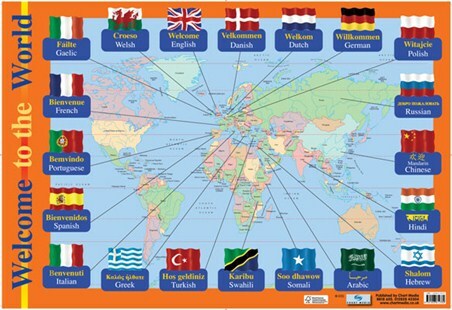 Below each flag is "Hello" in the country's native language, so you can welcome the world into your home. 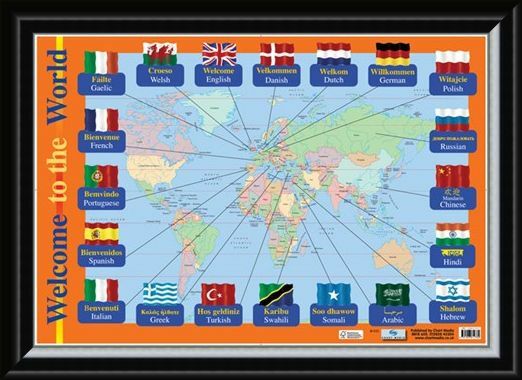 High quality, framed Welcome To The World, Educational Children's Map mini poster with a bespoke frame by our custom framing service.